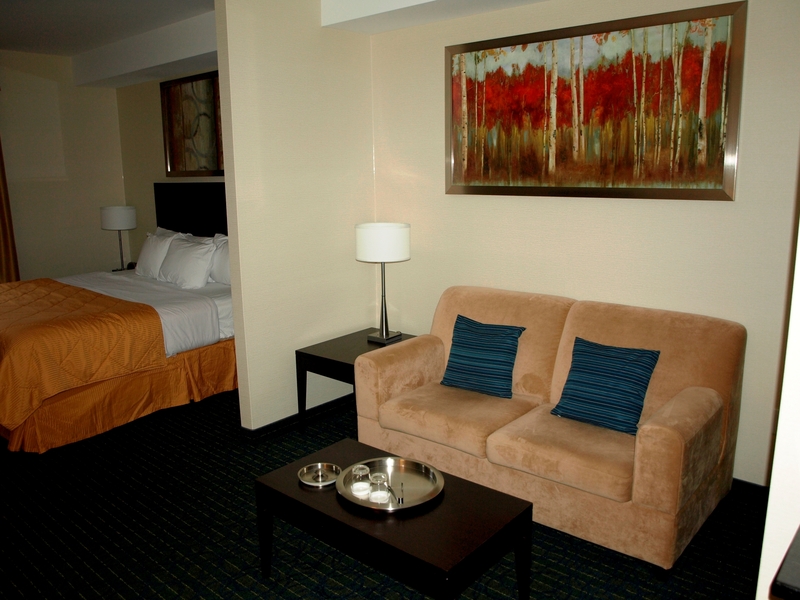 Comfort Hotel Bayer’s Lake Halifax: What are you looking for in a hotel? I have worked on this review for a while now because I am comparing different hotels in the greater Halifax area. 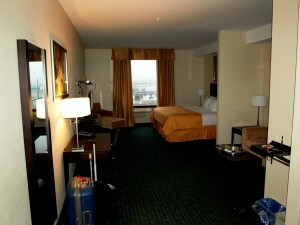 However, I have decided that it would not be exactly fair to this place to compare it to the downtown hotels. It is like trying to compare and apple to an orange. They are both satisfying, they both serve their purpose, but that is it. We really need to compare different verities of apples to other apple verities to understand which is better. Can you get a hotel that is more luxurious than this place in Halifax? Yes you can, but at what price and what is included. Will you find something that offers free parking and a free hot breakfast in the downtown locations? For me, I like the super quality mattresses, the large bath areas and other amenities that are available in the more expensive hotel lines. Will I continue to pay for this when there is an alternative like this? Time will tell. For now, let’s look at this location, on its own and not in comparison to other locations. Comfort Hotel – Welcome Gift. 1. Value: It is easy to see why this is the number one choice at TripAdvisor. The value is here. I have said it before, and I will say it again. The best value you can get in a hotel is the staff. Here, the staff, are all great. I was met with a smiling face who has the name of Klong. He made the check in process a breeze, as it should be, and went on to describe what this hotel offered and where everything was located. As well, he was sure to point out the operating times of such things as the indoor pool and dry sauna and the hot breakfast that included scrambled eggs and pancakes. They also had multiple catalogue books where you can choose from their large collection of Blu-Ray movies. I was also introduced to Nimfa Bautista, the General Manager that happened to make my hotel arrangements. She too wanted to make sure that all my needs were looked after and gave me a warm welcome. She was talking to someone at the time and as it turned out, it was the Owner, Stephanie. Instead of being above the guests, she too was welcoming. You can tell when the good training comes from the top down and it does here 100%. I failed to note the kitchen staff names, but they interacted with the guests and made it a very pleasant part of the hotel experience. 2. Comfort: The room I had was 417. One of the business suites which by looking at the floor plan means it is the larger size rooms. Not a unit with a separate bedroom. The king size bed was comfortable, but they have some type of waterproof covering on under the sheets that well, creaked if you rolled over. I know it must be for sanitary reasons, but not the best idea in my opinion. I minor point, but the microwave and coffee maker were nice and clean. The room over all was a little sparse from the doorway in. It was large enough and could have used a table and chairs for eating in that end of the unit. The bathroom was functional, but the tub/shower area was small and lacked modernization. They have installed the curved shower curtain, but that was it. 3. Amenities: The TV was a larger flat screen that has multiple inputs. A HUGE point for the traveler as I use my computer to feed to HDMI to watch the shows I want to watch in HiDef. The room also does have the blu-ray player but I did not use this. I am still surprised that it is still the norm to have no HiDef channels coming into the room. Nothing against this hotel as it is that way in most hotels I stay in. They did offer me 10% off the restaurant and a free drink that included alcohol, but I was out for dinner and did not get to take advantage of this. However, later in the evening I was hungry so I did order room service. The late night menu really pushed their pizza’s and when I called, they stated that this was a popular item. Well, I really could not eat the crust. Yes, it was that bad. The toppings were good but not worth the price tag. If you want a late night pizza, I would recommend you order out. 4. Hotel features. : The hotel did have a nice pool area. Sort of a different location as there are windows through to the eating area. I suppose some parents might head to the kitchen while kids are in the pool, but I would suggest that this is not a great idea. I did not take pictures of the pool since the tile lining was a very dark blue and I know they would not look good. The water was conditioned well and was at an excellent temperature. If you enjoy a pool, this is a good one to do a few laps or just relax. The dry sauna should have been a nice experience. It was until I looked at the heater or rather the floor area surrounding this. It is a dry sauna, but people still bring in water from time to time. In this case, the area surrounding the floor had black dots where people splashed something. I welcome the comments from the hotel on this as it looked like possible mold and I left the sauna area. Overall, I enjoyed my experience here. Again great bang for the buck. More so if I was travelling with a family as all the perks would be multiplied. It is in the Bayer’s Lake area so, lots of shopping, eating and movies to entertain you. It is only 10 minutes to the downtown area, but you will still have the downtown parking and other expenses. 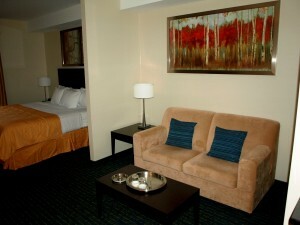 If you are coming to Halifax for the Bayer’s Lake shopping, I would recommend this location to stay at. It is interesting and always a treat when I post a review on my Trip Advisors page and the staff reply to my comments. I take this as a response that means the owners / managers care about the feed back and take the concerns to heart. Here is the reply I received. Thank you so much for your wonderful, detailed review. 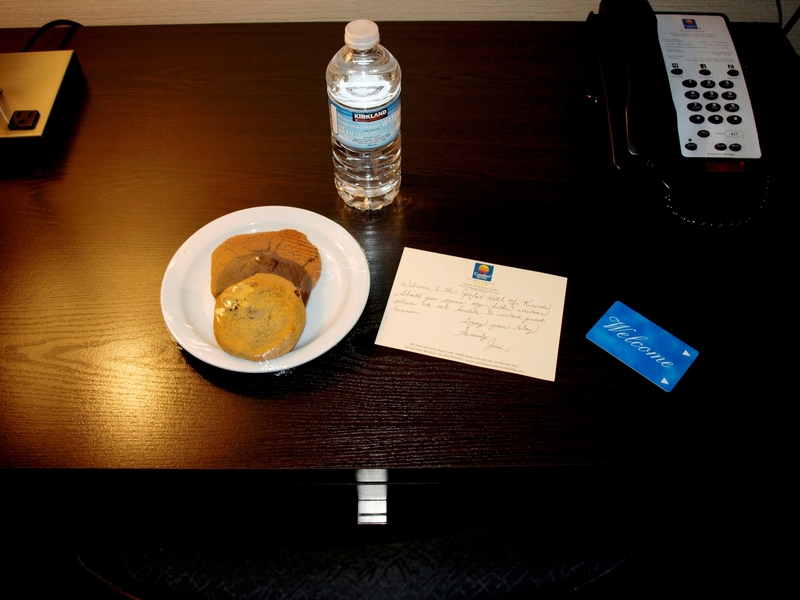 We truly appreciate the comments on all aspects of your stay. It is through this type of feedback that we can work on maintaining and improving the level of excellence that we want our guests to experience. I am delighted you appreciated our staff, value, amenities etc. I will take this opportunity to comment on some of your valuable feedback and recommendations. a) Our waterproof mattress coverings. Yes Steven, we have placed them for sanitary reasons. They are there to protect our guests. During our 2 1/2 years of operation we have had a couple of comments regarding creaking noise and most do not notice it at all. I have been trying to source something as effective but of a different material. No luck yet. It is something though that I will keep looking into. b) In regards to the lay out of our Junior suite. I sincerely appreciate your recommendation for more furniture. I am on it! c) Our phone and tv channel provider, had informed us before the summer that many channels were to be converted to High Definition. They have some technical issues in implementing and we are still waiting. d) I have spoken to our Kitchen Manager regarding the pizza crust. He will definitely work on improving it and discussing with the rest of the cooking staff, so there will be consistency. e) It is unfortunate that you did not enjoy our dry sauna. I had a close look at the spots you were referring to with my housekeeping manager. They are the result of natural residue released from the heated stone. Even though the sauna floor is cleaned daily, getting rid of those, required a stronger chemical agent. Thank you for bringing it to our attention, as it can be confused for mould. I hope you will visit us again when you are in Halifax!